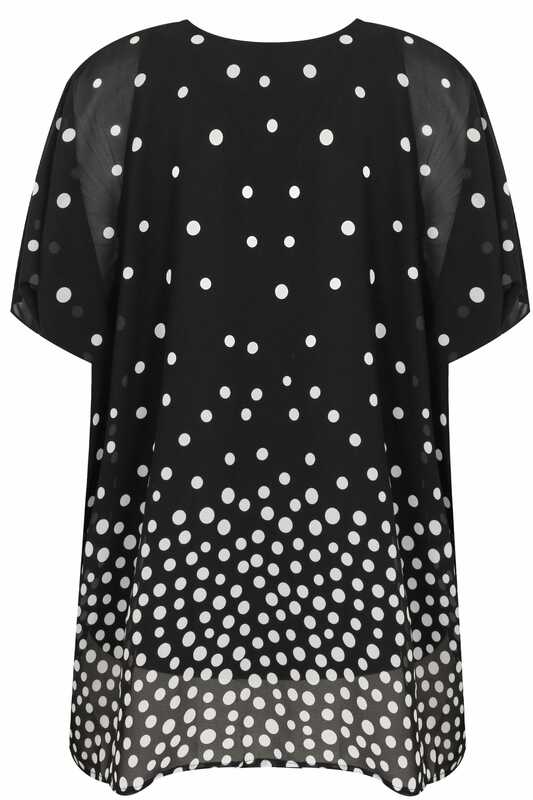 Designed in a comfortable oversized cape-style fit, this longline top features an on-trend polka dot print. Style with skinny jeans and mules for a stylish evening look. 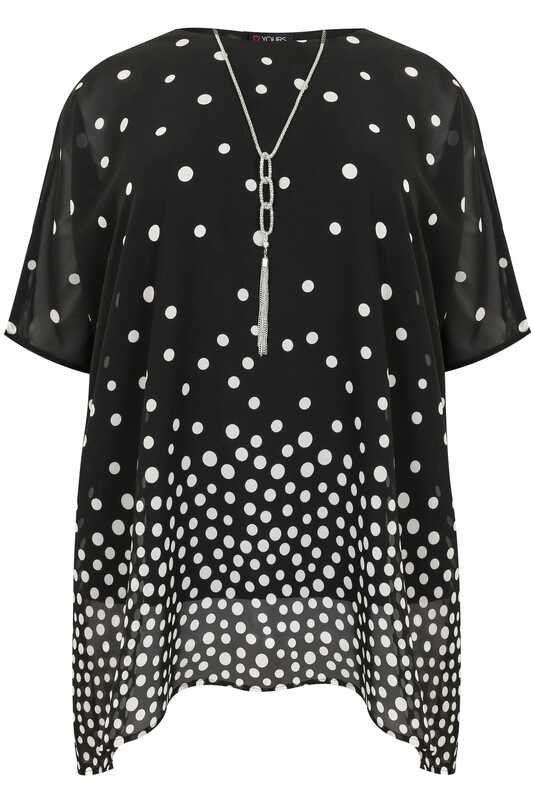 We love a polka dot print!